Winter is the best time to visit Russia. Still doubt? Then read about this tour and you will be surprised how much fun there is in Moscow now! Finish the tour at the Gorky Park and watch Muscovites ice skating or hire skates to try this traditional Russian entertainment. Start your walking tour on the Red Square, the biggest square in Europe. In winter it is especially beautiful, covered with snow and surrounded by illuminated GUM, Kremlin wall and State Historical Museum. 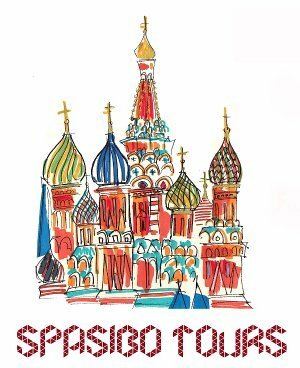 At the Red Square there is a Christmas market where you can watch the local life, buy some souvenirs, try pancakes with diferent fillings and drink a cup of hot tea (or hot wine). Then we´ll proceed to the GUM store, old shopping arcade, built in 19th century. Great place for photoshooting! Also, in GUM is the most famous Soviet supermarket decorated with marble and bright chandeliers. After taking photos, we'll go to the metro and discover the most beautiful stations, it will take about 1 hour. Feel free to take photos of architecture and people there, lots of travelers say it is one of the most authentic places in Moscow, because there you can see daily life of citizens and at the same time - impressive sweep of Soviet-made stations. The next spot is the Gorky Park - cozy, bright and always lively. There you can enjoy walking through the illuminated alleys or take a ride on hired ice skates. Ice skating is the most popular entertainment in Moscow, in Soviet time it was a great opportunity to meet new friends or find true love. The tour can be finished at the Gorky place or any other place you want. Best tips from a local where to go, what to see, what to eat etc.